Perfect for the one you love. 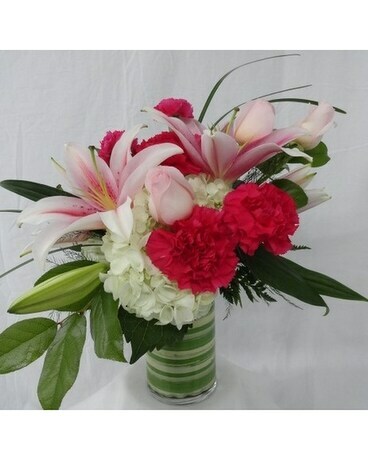 Soft pastels created with hydrangeas, oriental lilies and hot pink carnations. 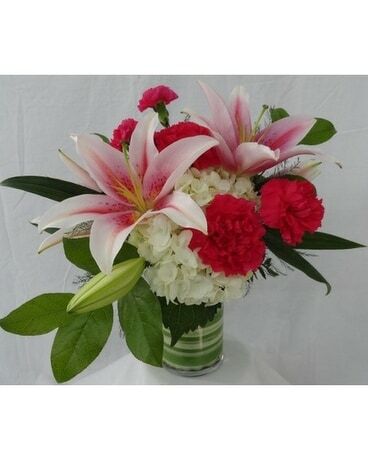 Upgraded version will include roses.